The Hydrea London Loofah Brush with detachable handle is ergonomically designed with a curved shape to make a simple and effective tool for those hard to reach areas, especially the feet, back and shoulders. The loofah head effectively removes dead skin leaving you with brighter, fresher skin. Use the head with the hand strap when firmer strokes are needed. Use in the shower or bath with your favourite cleansing product. 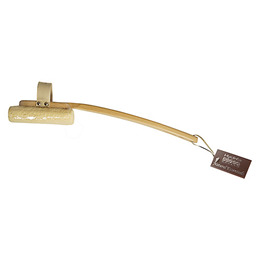 Below are reviews of Hydrea London Loofah Brush with detachable handle by bodykind customers. If you have tried this product we'd love to hear what you think so please leave a review. The Hydrea London Loofah Brush with detachable handle is ergonomically designed with a curved shape to make a simple and effective tool for those hard to reach areas, especially the feet, back and shoulders.